Aren’t parfaits just amazing? They are light, full of flavor and so versatile! I am on a citrus kick right now, so I decided to use lemon in this one. 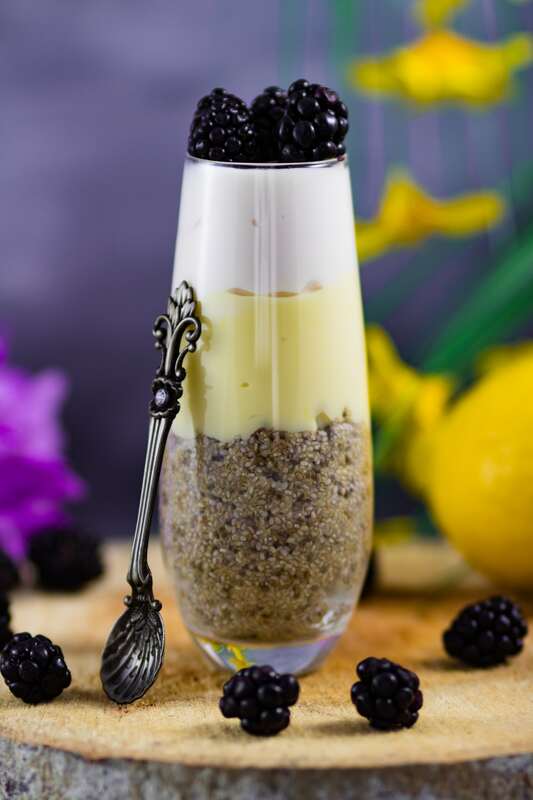 Since lemon pairs so well with blackberries, I knew that I needed to make a parfait out of the pairing. Start by making the chia pudding as it needs to sit for an hour. 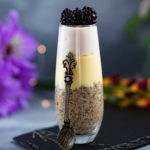 I use white chia seeds in this one as it looks prettier, but using black chia seeds won’t make it taste any different. 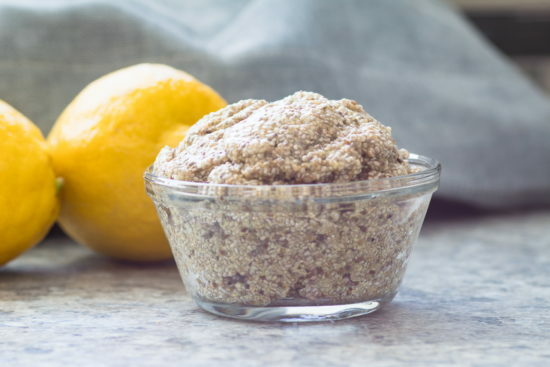 I added lemon oil to mine as I like a strong lemon taste in my desserts. If you like a more suttle lemon taste, you can omit the lemon oil. I used Cha’s Organics Light Coconut Milk, and it made it so much creamier. If you want to get some, click HERE. After it sits for an hour, make sure that you mix it up well so that there are no lumps. Next, mix lemon oil in half the coconut yogurt. I always use Yoso Coconut Yogurt in my parfaits because it is so creamy and amazing tasting! You can buy it at most supermarkets, but you can check out their website HERE. This makes up the second layer. 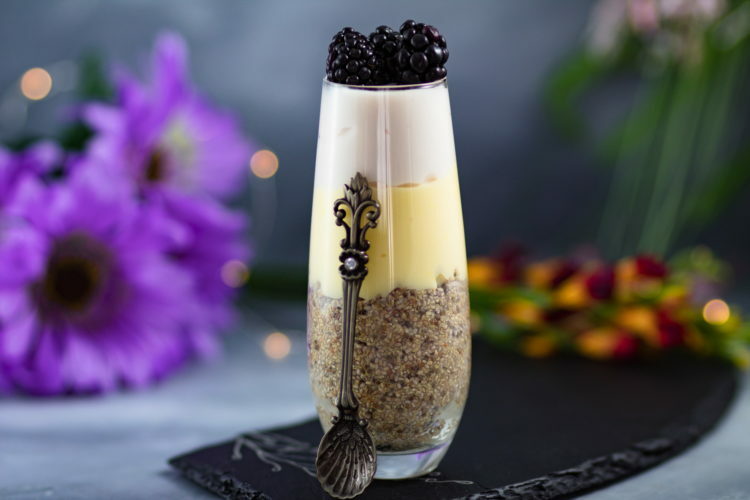 For the top layer, cut up half the blackberries, and carefully fold them into the remaining coconut yogurt. Layer them in a glass in whatever order you like and then serve with blackberries on the top. 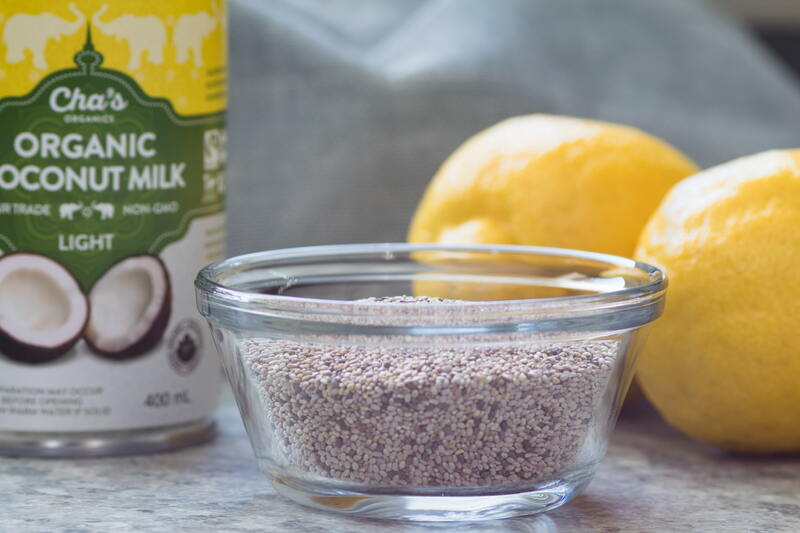 Mix together the coconut milk, lemon juice, first amount of lemon oil and maple syrup together. Add the chia seeds and let it sit for 1 hour. Mix together half the yogurt and the second amount of lemon oil. Cut up half the blackberries and carefully mix it in the remaining yogurt. Put the pudding into 4 glasses and top with the lemon yogurt. Then add the remaining yogurt and blackberries. Top with remaining blackberries. Yum! So delicious. Tastes like Lemon meringue pie!